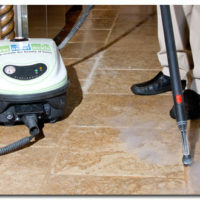 It is very important to clean tile floors, countertops and walls on a regular basis. Doing so will improve the way these surfaces look from day-to-day, but it will also maximize lifespan. That’s a key part of making sure that you are getting good return on your investment in tile surfaces. Maintenance is the key. Scheduling a professional tile and grout cleaning at least once or twice a year – spring and fall cleanings are a common annual routine – can make a huge difference in the appearance and durability of your floors, countertops and walls. When your tile becomes dirty or stained, mops and home cleaners may not do the trick. But this doesn’t mean there’s nothing that can be done. 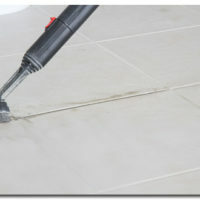 With the use of environmentally-friendly vapor cleaning technology, The Grout Medic can remove these tough stains and dirt, along with other contaminants. You’ll need to establish a regular pattern of DIY cleanings, but to get truly transformative results that don’t harm the long-term health of your grout, you should go with a professional. If you’re worried about the cost of hiring a professional cleaner, you’ll find that the rates compare favorably to having to completely replace tile and grout surfaces years ahead of schedule. Professional cleaning techniques and equipment save homeowners money in the long run. When you need assistance with tile and grout cleaning and related maintenance, contact The Grout Medic for professional help!